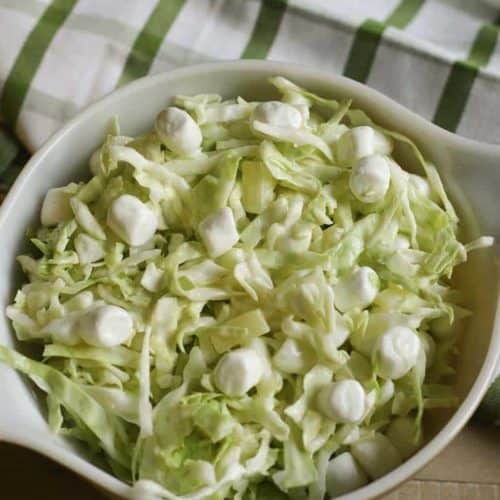 This Pineapple Marshmallow Coleslaw is super easy to make, and it is crowd pleasing! Everyone loves this sweet and creamy coleslaw. Coleslaw doesn’t need to be boring, you can make an amazing coleslaw in a matter of minutes. 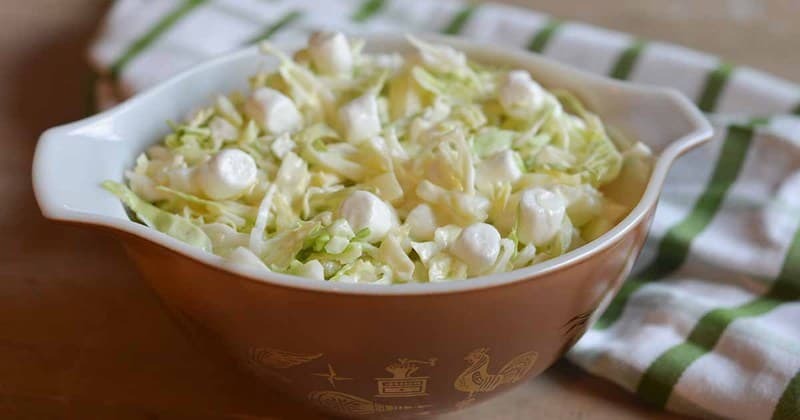 All you need is freshly cut cabbage, marshmallows, a can of pineapple, and some Miracle Whip. This coleslaw has a wonderfully sweet flavor. 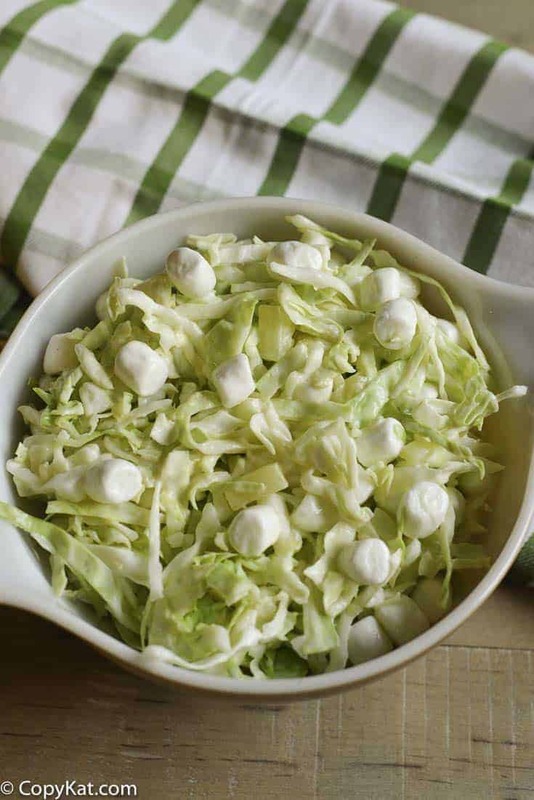 Grate cabbage; mix in chuck pineapple and miniature marshmallows, any amount to your taste. Mix in salad dressing until creamy. This recipe is by Virginia McDowell. Jefferson City, Mo. 1967. This was the perfect slaw at my picnic.